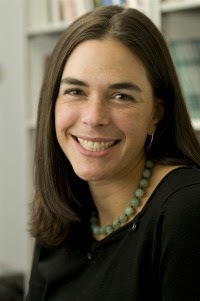 University of Chicago psychologist Sian Beilock has written a very interesting new book, "How the body knows its mind". In the book she explains that an old and still popular idea, the dualist view that body and mind are largely separate entities, is mistaken. She argues that this idea is not only invalid, it is also bad for your health. 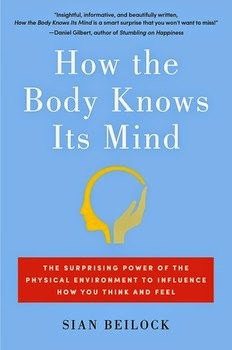 The body is not just a shell or a device carrying out instructions from the brain. As the author explains in the book, whatever we do from the neck down has a great impact on what happens from the neck up. Because of this, our bodies have great power in shaping the development of our minds. The book contains countless examples of descriptions of experiments which show how the body affects the mind. One example is a series of studies which have show that facial expressions are not mere expressions of the emotions wish originate in the brain. Facial expressions affect how emotions are registered in the brain. Even deliberately putting a smile on your face can make you feel happier. (In an earlier post about the as-if principle, I already mentioned this). Beilock mentions too many examples of the importance of how the body affects the mind (and, by the way, how your interaction with different environments, such as being in nature, affect your mind) to discuss them all, here (buy the book, I would say). As Beilock writes, the knowledge presented in this book can be used to (1) feel beter, (2) think better, (3) develop your mind, and (4) to understand other people.